No matter where they live, all people are in need of the same thing: Jesus Christ. Tractors or mass transit? Row houses or farmhouses? It often seems like there’s a big divide between urban and rural living, yet people everywhere are all desperately in need of the same thing: Jesus Christ. Thanks be to God, He calls His people to serve Him in different ways and in different places. 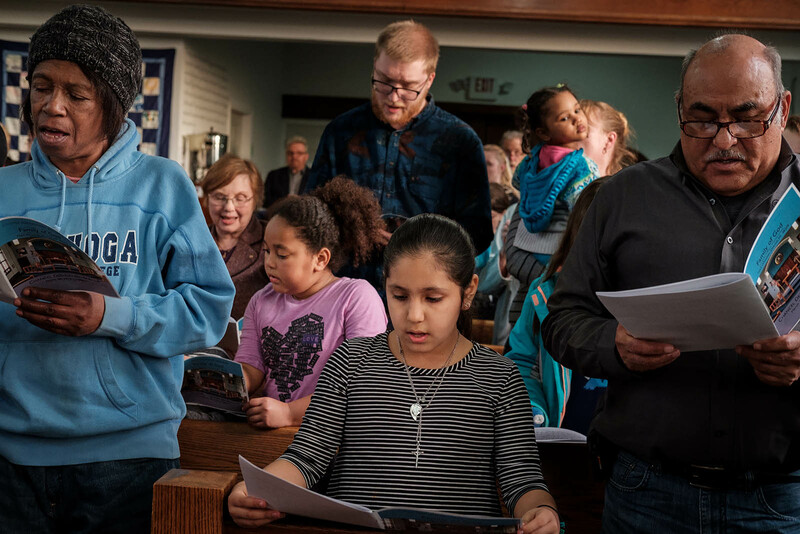 Read on for two stories of how God’s people are being “Joy:fully Lutheran” — the theme of the upcoming 2019 LCMS convention — as they love and serve their neighbors in the unique contexts in which they’ve been placed. 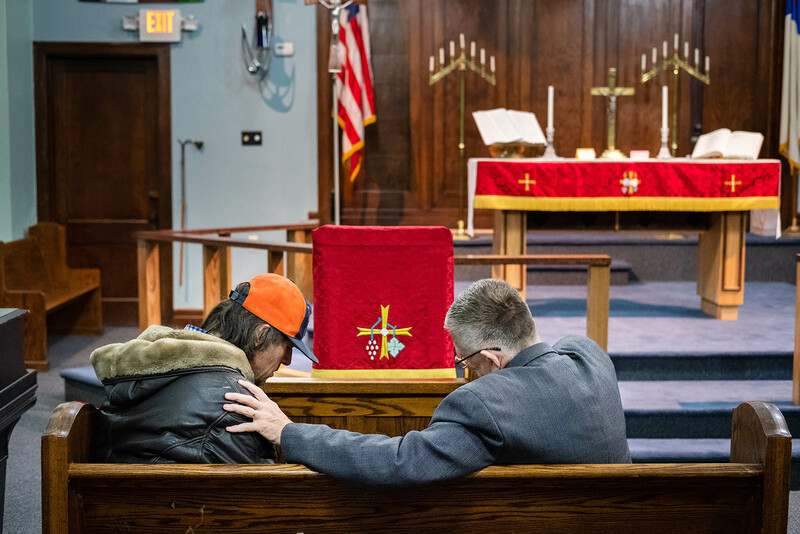 On a chilly Wednesday evening in late March, Family of God Lutheran Church in southwest Detroit was so full that even the first pew was filled. People came from all over for the dedication of the ministry’s new sanctuary. They came to celebrate what God was doing in this inner-city area. Guests worship during the sanctuary dedication service at Family of God in Detroit. 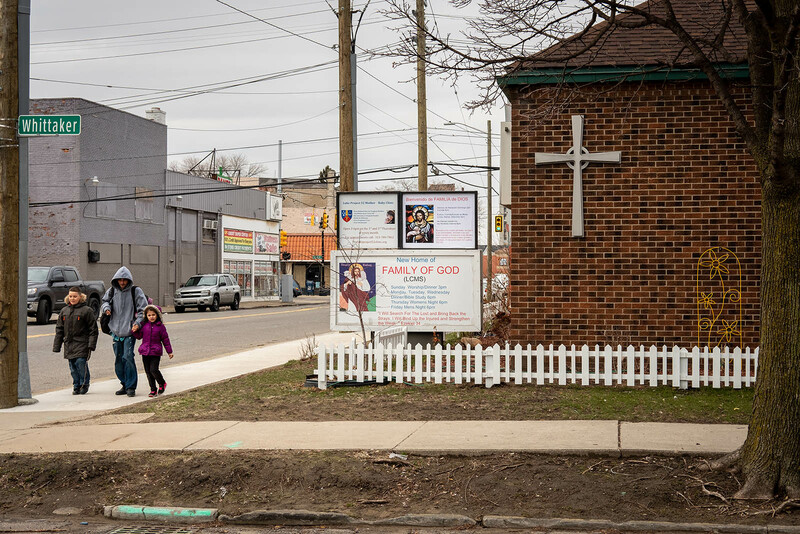 Before moving into a better facility and receiving renovation assistance from Laborers For Christ, Family of God was located between two decrepit buildings that housed evils such as illegal drug use and prostitution. 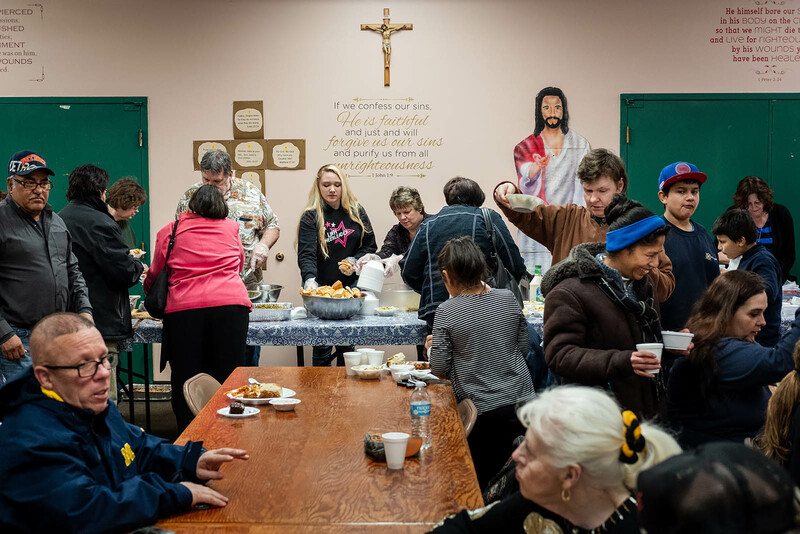 The ministry served food to the community in order to bring hope and healing to the neighborhood, all the while praying for God to do His work there. Now, the community gathered to celebrate that those buildings that once enabled sin have been demolished and the ministry has a proper place to worship. Yet in the midst of the handshakes, hugs and smiles after the dedication service, a man sat silent and alone in the first pew. He did not come to celebrate. He was broken. The Rev. Jim Hill, pastor of Family of God, talks with a man following the service. The Rev. Jim Hill, pastor of Family of God, joined him and sat with his arm around the man’s burdened shoulders. They spoke of addiction and its devastation on the man’s family. They spoke of need and desperation. And then Hill spoke of Jesus. This is the life and ministry of Family of God. The ministry serves all who come, drawn by the offer of a free meal, a friendly face, informal counseling, tutoring or simply the feel of family. 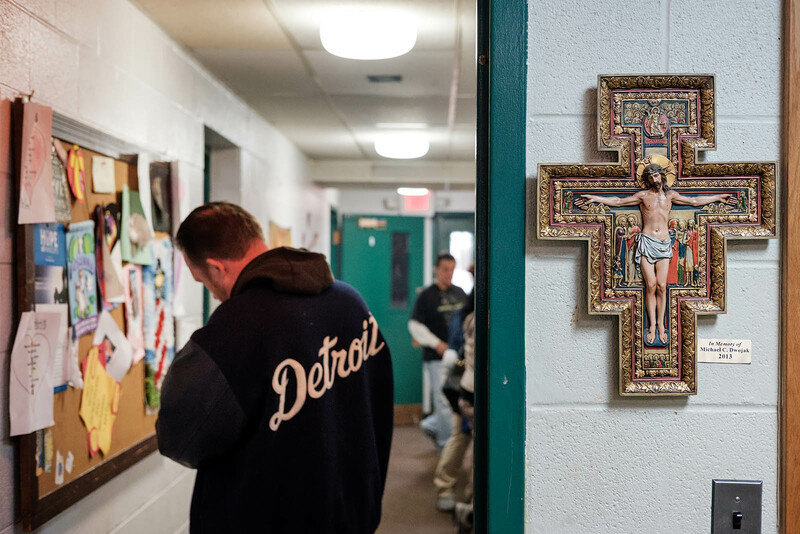 Many who attend Family of God are struggling with addiction and other destructive patterns. Many who come will never join a church. But in the midst of sin and struggle, Family of God feeds and cares for the body and, most importantly, proclaims Christ. Visitors wait for the evening meal at Family of God. The work of Family of God is supported by at least 18 area congregations that provide financial support, bring food and send volunteers. On average, 60 to 70 people come for the meals, which are offered six days a week. Some come long before the food is ready, and many stay after the meal is over. 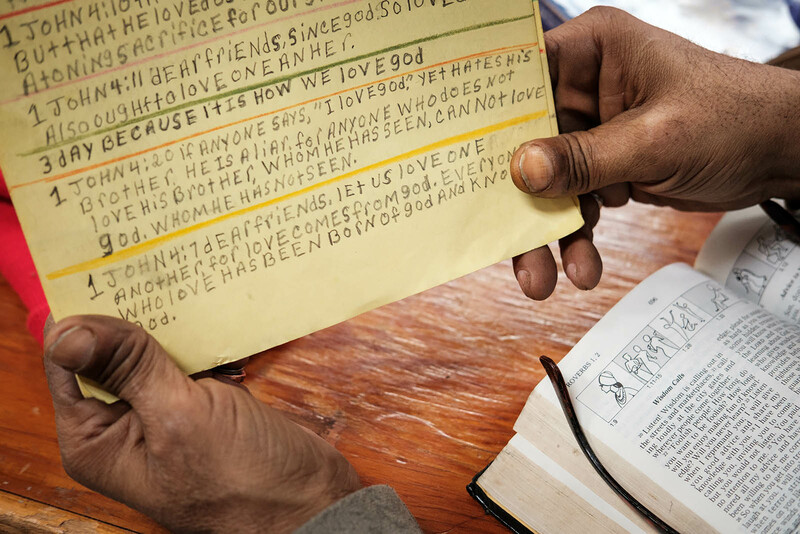 William Holloman reads his handwritten Bible verses at Family of God (top). A family walks past Family of God’s new building (below). “God’s grace can reach into lives even when the world says we are worthless,” Hill said in his sermon that evening. “God’s love is so great, His sacrifice so powerful that there is no one who can’t be saved. You can never be too gone. No matter who we are or where we’ve been … we are all desperately in need of the same grace.” As Hill spoke, he pointed to a painting of the thief on the cross. The plea of the condemned criminal is the prayer of Family of God. “Lord, remember me when You come into Your Kingdom.” Sinners in repentance turn to the only one who can save. And Jesus’ gracious response is the only hope: “I tell you the truth. Today, you will be with me in paradise.” The words of the Crucified One make us family — the family of God. 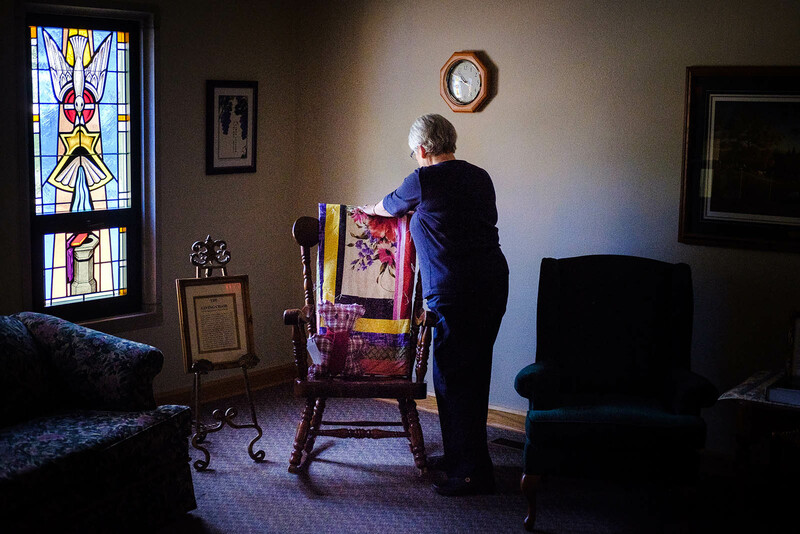 Watch a video about the TLC Quilters and their work in Iowa. 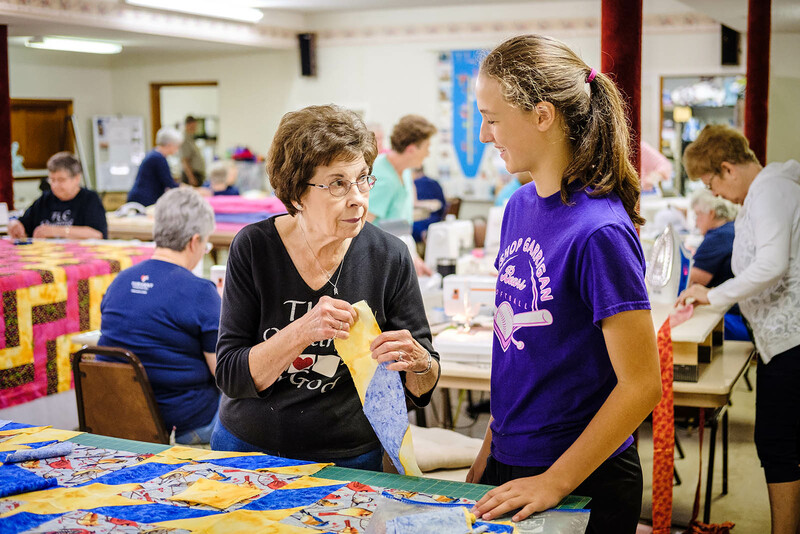 On Tuesdays and Thursdays, the basement of Trinity Lutheran Church in Algona, Iowa, is filled with chatter, laughter and the hum of sewing machines. From this humble space, the church’s TLC Quilters serve the community in small but powerful ways. Carol Reading (left) helps Meredith Tigges make a quilt during a TLC Quilters work session at Trinity Lutheran Church, Algona, Iowa. The group consists of about 60 women — and a few men — who sew quilts, teddy bears, doll clothes and other items for those in need. Last year, the group gave away 1,301 quilts and more than 700 teddy bears. These items are lovingly made and given to community children, veterans, cancer and Alzheimer’s patients, and anyone who needs a little TLC. 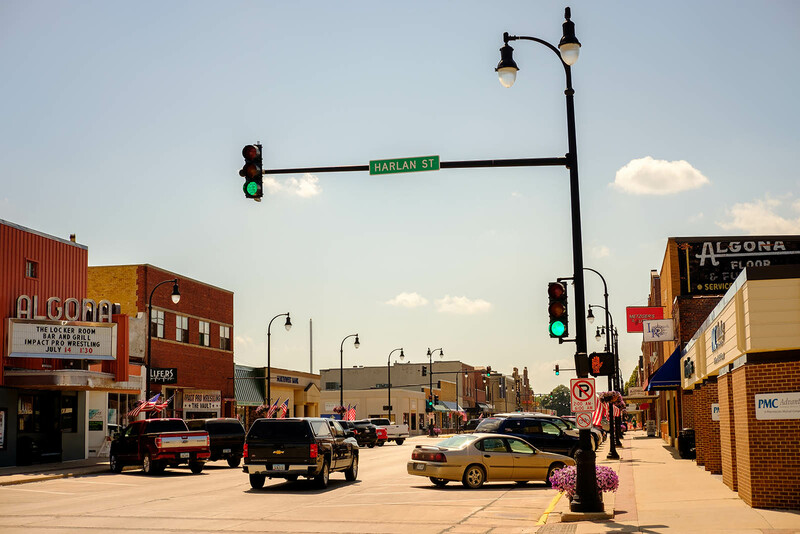 The church works with the Kossuth County CARE Team, a community nonprofit, to identify possible recipients and invite them to Trinity for giveaway events each year. TLC Quilters organizer Barb Bitterman and CARE Team executive director Linda Vaudt have many stories of the people who’ve received the gifts: There was the little girl who told everyone the handknit hat she received was her “God hat” because it came from the church. Then there was a boy who said the giveaway event, which includes dinner and Bible stories, was the first time he’d heard about God. TLC Quilters organizer Barb Bitterman pauses and prays at the Giving Chair, a rocking chair adorned with a quilt made by the TLC Quilters. The quilt on the chair can be taken by any member of the church family and given to someone that they feel is in need. Bitterman encourages the TLC Quilters to attend the giveaway events. In addition to quilts, they often give out dolls, stuffed monkeys and wooden trucks. The TLC Quilters’ enthusiasm is contagious. During the summer, a group of about 25 children from the community joined them to learn to sew. 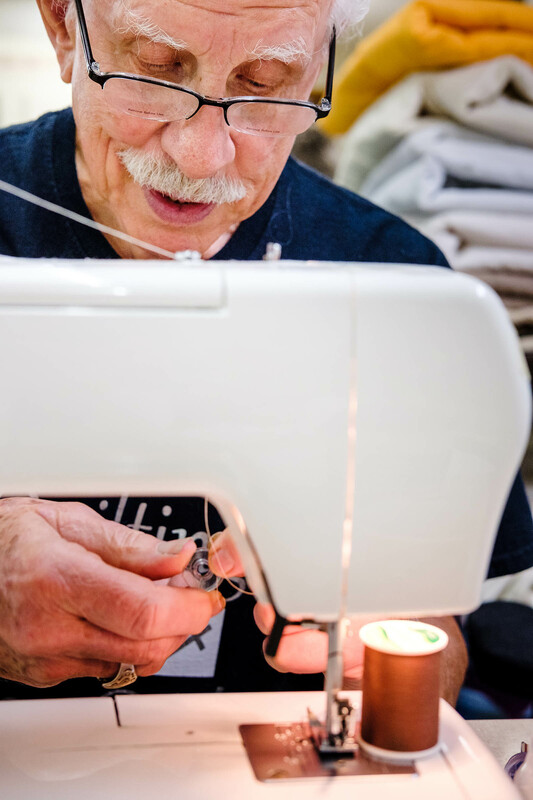 “I never thought at 85 I’d be sewing,” says church member Gary Reynolds. They even taught church member Gary Reynolds. “I never thought at 85 I’d be sewing,” says the retired horse trainer. But now he comes regularly to make large pillows that can be used as temporary beds for refugee children at a public elementary school in Des Moines. Trinity’s senior pastor, the Rev. Tom Schlund, says they’ve had several people join the church as a result of this outreach. One was a family that attended a giveaway event; another was a woman who came for the sewing and later stayed for the message that was preached of Christ crucified. God, You gather Your people together wherever they may dwell to forgive them and to give them eternal life. You also call Your people to love their neighbor and serve them in those places. Bless the work of Family of God in Detroit and the TLC Quilters in Iowa as they share the love of Christ as You give them opportunity. So teach each of us to serve and love, that Your Church might reflect the joy that is ours from Your grace in Jesus Christ, in whose name we pray. Amen. Your generosity today makes possible your Synod’s witness and mercy efforts both at home and abroad. Visit the LCMS online ministry and mission catalog to find those opportunities most meaningful to you! 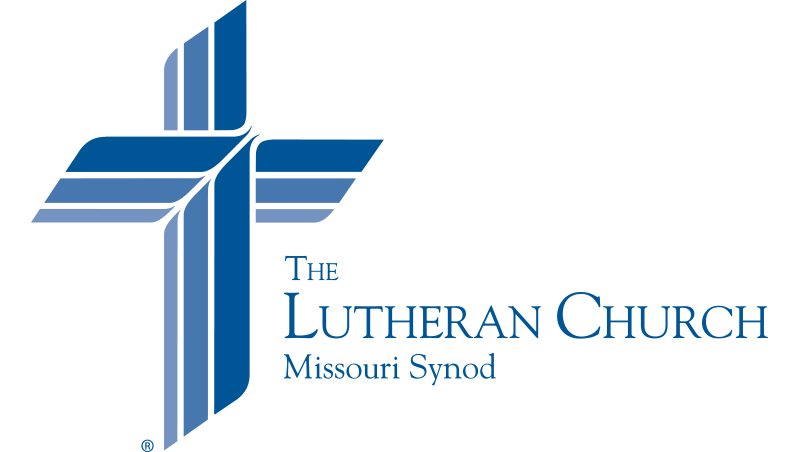 Dr. Kevin Armbrust | Director of Editorial for LCMS Communications. Megan K. Mertz | Managing editor of Lutherans Engage the World and a staff writer for LCMS Communications. web-exclusive stories are posted online. You can share Jesus with people all over the world (Matthew 28). A donation to the LCMS Global Mission Fund supports witness and mercy efforts both at home and around the world.